Donald Trump's improbable election romp has set the world of social media on fire. Tens of millions of people shared their views on Twitter and Facebook during Election Day, a level of interaction that shattered existing records for political discussion. 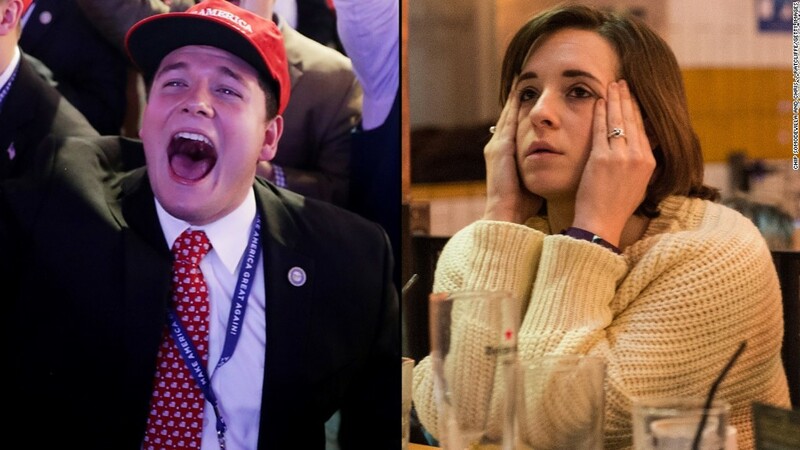 Twitter (TWTR) said that more than 75 million tweets related to the election had been sent by 3 am ET on Wednesday, the moment Trump claimed victory. That's far more than the 31 million messages sent on Election Day in 2012. More than 115 million people discussed the election on Facebook (FB), generating more than 716 million likes, posts, comments and shares related to the vote, the social media platform said. Facebook did not say how that compared to previous presidential elections. Statistics released by the two social media giants show the lengthy campaign generated sustained interest on social media. Facebook said that 8.8 billion posts, likes and comments were posted between March 23, 2015, when Ted Cruz became the first politician to declare his candidacy, and November 1. The company said the second presidential debate, held in early October, was the most talked about event of the campaign. It generated more than 92 million "interactions" by almost 20 million users. Google also released election search data, which revealed that immigration and abortion were the two issues people searched for most, with race following in the third place. Trump put a finishing touch on the social media activity Wednesday when he updated his Twitter bio to read: "President-elect of the United States."